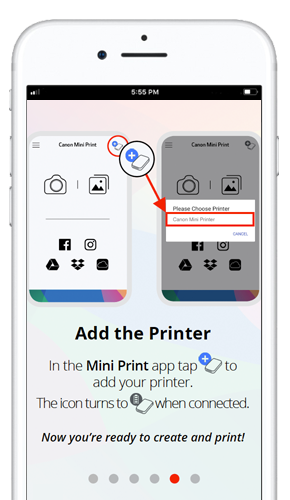 The Canon Mini Print App* offers access to an exclusive array of photo editing tools — helping your images come to life through custom filters, frames, text, emojis, collage prints and more. The result? Peel-and-stick photos that are smudge-proof, tear-free and water-resistant, thanks to the printer’s ZINK™ (Zero Ink) technology. 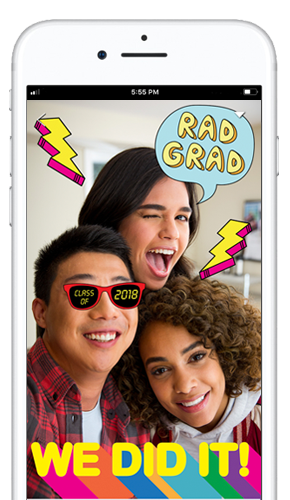 Enhance the look of your images with stickers, frames, text, emojis and doodles. 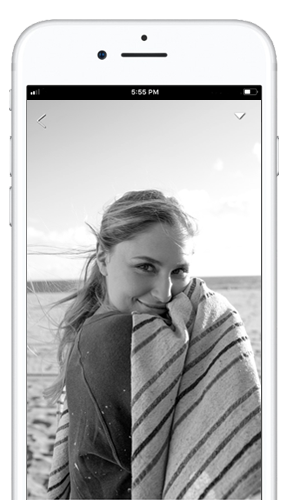 Sort through special filters to change the mood of the photo. 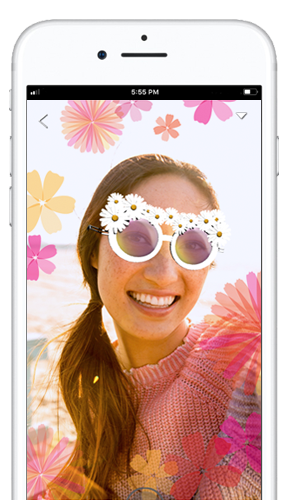 Shake things up with fun filters that transform your photos using face tracking technology. 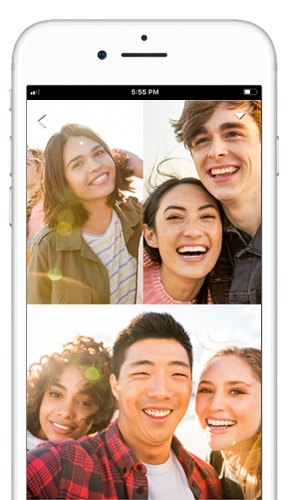 Have a few photos with your besties? Add them to a single print by creating a personalized collage. 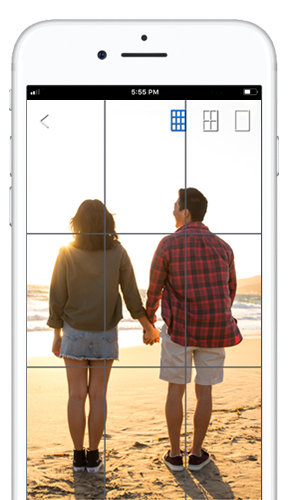 Craft a larger version of your image by printing up to 9 tiled sections. Red light appears when charging. Green light appears when fully charged. 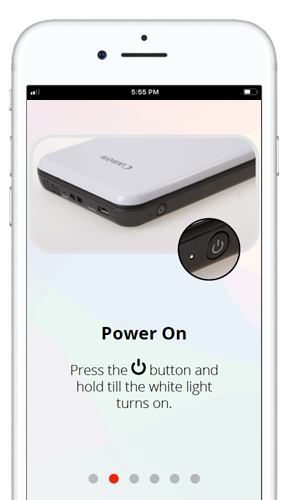 Press the Power button and hold till the white light turns on. Slide the printer lid to open. Gently press down & push back on the arrow. 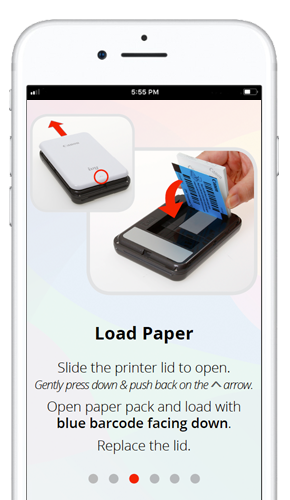 Open paper pack and load with blue barcode facing down. Go to Settings then Bluetooth and turn ON to connect. Make sure that the printer is on and the power light is lit. 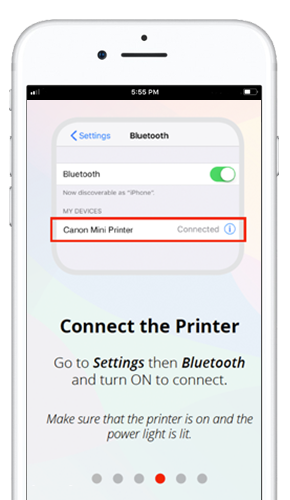 In the Mini Print App tap the blue + icon to add your printer. The icon turns gray when connected. 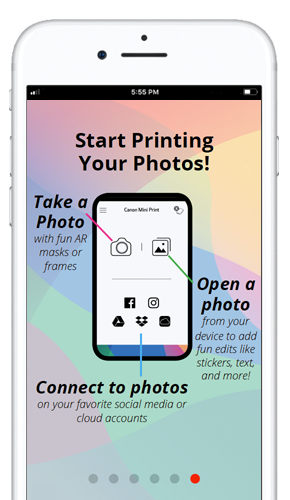 Take, open and connect to photos. 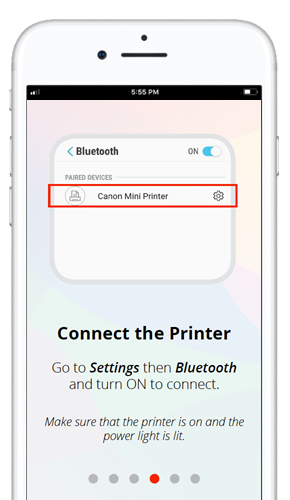 * Requires mobile device to be connected to the Canon IVY Mini Photo Printer via Bluetooth® and the Canon Mini Print App, available for free on the App Store and at Google Play. 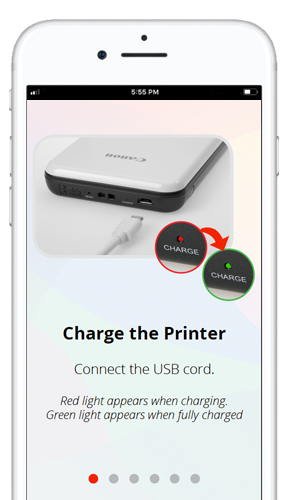 Compatible with mobile devices running iOS 9.0 or later, and Android devices running Android 4.4 or later.